On 21st April, it will be 25 years of Principal Sujan Singh’s departure from this world. A two-day national seminar on this occasion is being held at Punjabi University Patiala by Kendri Punjabi Lekhak Sabha, of whose Sujan Singh was himself President once. I had a pleasant association with him in his lifetime, though not very close. He had visited our Baradari Garden house once with his close friend Kartar Singh Sumer, a frequent visitor at Baradari Patiala. He also presided over first Kavita Divas in memory of revolutionary Punjabi poet Pash on 9th September 1989, organised by Paash memorial international trust. This grand function was co-chaired by Hindi progressive writer Nagarajuna and revolutionary Jaidev Kapoor, now all three are not in this world. At one time I wished to translate Sujan Singh stories in Hindi, as well as of Kulwant Singh Virk and Gurbachan Bhullar’s, also the poetry of Navtej Bharti. I could not do it but did translate one of Sujan Singh story Rajai in Hindi. Sharing few of his photographs here. Reposting to pay tribute to martyrs of Jallianwalabagh, happened 99 years ago in Amritsar. Nanak Singh novelist wrote a poem in Punjabi called Khooni Baisakhi to mark the day! It was on 13th April 1919, Baisakhi day that General Dyer had killed hundreds of people from Amritsar and surrounding areas, who had gathered to listen and protest against Rowlatt Act, an oppressive legislation being enacted by British colonial regime of that time.It all started from with the ‘Sedition Committee’ report prepared under Rowlatt itself and published in 1918, which listed the revolutionary(terrorist in British terms) nationalist movements of the country at that time.Starting from the killing of cruel British officer Rand in Pune, after the outbreak of plague in 1897, the report has listed Bengal division and revolutionary activities of Anushilan and Jugantar in Bengal, Ghadar party in Punjab etc. and recommended strict laws, so accordingly Rowlat act was prepared.Nationalist movement resisted throughout the country and in Punjab, after a strike of 30th March, when Mahatma Gandhi was not allowed to enter Punjab, the situation became explosive.British deceitfully arrested Dr. Saifudin Kitchlew and Dr. Satya Pal on 10th April, invited to his office by the Deputy Commissioner for discussion, leaders of the movement. Hindus, Muslims and Sikhs, showing exemplary unity, drank water from same glasses and took food together and gathered in Jallianwala Bagh, adjoining Golden Temple on 13th April 1919.It has a narrow gate even today this area is a congested residential area.When Hans Raj, an activist was addressing, around 5 p.m. in the evening, Gen. Dyer, who had encircled the Bagh from all sides and closed the only exit gate ordered fire straight on the bodies of people.One can imagine the scene. British Government of the day with Punjab governor O’Dwyer at that time, itself first admitted 291 deaths, later in Hunter commission inquiry in London admitted more than 300 killings.Despite hue and cry all over the world, Hunter Commission gave no punishment to Dyer, however, he got afflicted with so many diseases that he did not survive beyond 1927 and died on 23rd July that year, as per his family, he died of ‘heartbreak’.Nigel Collett, his biographer, gave the title of his biography-‘The Butcher of Amritsar’-General Reginald Dyer, this was published in India by Rupa in 2005. Congress party, which instituted its own enquiry committee on this ghastly massacre, could start functioning only in November 1919 and as per its voluminous report in two parts, republished by National Book Trust and Nehru Memorial Museum and Library New Delhi, assesses more than one thousand deaths.Sewa Samiti Amritsar of that time insisted that they had cremated more than 500 bodies, the substantial number of Muslims and Sikhs remained outside its count.Now Govt. of India has assigned ICHR to have the count of deaths.Punjab Govt and some others have got names of more than 400 persons on record.Raja Ram in his Punjab University Chandigarh publication has listed 381 names in 1969 first edition of his book. Ram Singh Majitha has listed 406 names of martyrs in his Punjabi language publication in 1988, this includes 200 plus Hindu names,80 plus Muslim names and 120 plus Sikh names, including two women.One can very well imagine that how Punjabi society in 1919 was integrated at the religious level, later developments have made it disintegrate, leading to its tragic division, against the wishes of common people. Jallianwala Bagh massacre was seen by Udham Singh, who was 15 or 16 years at that time and was in an orphanage in Amritsar, it is he, who avenged the massacre in 1940, full 21 years later in London, by shooting Micheal O’Dwyer, Governor of Punjab in 1919.The hated Dyer was already dead in 1927.Udham Singh was executed on 31st July 1940 in London.Jallianawala Bagh was also visited by 12-year-old Bhagat Singh, who was a student at Lahore in those days and he brought the bloodstained earth from the Bagh, which is still preserved in Bhagat Singh memorial museum at Nawanshehar, now called Shaheed Bhagat Singh Nagar in east Punjab. In today’s Punjabi tribune magazine, a full booklet of the long poem written by famous Punjabi novelist Nanak Singh at that time under the title-‘Khooni Baisakhi’ has been reproduced.This was perhaps first Punjabi publication, which was proscribed by British government at that time. I wish that ‘Sanjh’. ‘Pancham’ or other Punjabi journals in Pakistan transliterate in Persian script and publish it there.It is really moving poem. in a seminar on Dr.Ambedkar, held in Lahore by Sir Ganga Ram foundation on 13th April 2007, I had started my address by saying that ‘ as the earth of Lahore is pious for me or other Indians, because it has the executions of Bhagat Singh, Kartar Singh Sarabha and so many other revolutionaries in its jail, now demolished, so is Amritsar pious for Pakistanis, as the blood of Hindus, Muslims and Sikhs was shed together here on 13th April 1919’.The audience got so emotional that so many people hugged me after the programme was over.Now every incident of police brutality in India is called-‘another Jallianawala bagh’, such as the symbolic value of that place.India, Pakistan and Bangla Desh should commemorate Jallianawala Bagh every year jointly, as it is part of their joint tradition of struggle for freedom, as was 1857 revolt, which unfortunately has been commemorated separately by all three in its 150th anniversary in 2007. Some of you know the name of Rahul Bhattacharya, I myself was mentioned about him here in Trinidad by some local friend. While I have not read the novel, but The Hindu, the most prestigious English daily of India, has conferred its first ever literary prize to the young writer, among his competitors were many literary giants. I hope my Caribbean friends will be happy at this, one of most prestigious award from India on writing based on Caribbean life. I probably may be having links to my Trinidad Guardian articles,but I am interested to know in what reference the articles have been mentioned.Article is probably available on TT Guardian website also. Here are the links of the paper, which has published my article in two installments, on the basis of which ,I am sought to be persecuted. This is Pandit Priag Sooku letter,I just checked.At least there are people,who appreciate rational views! Prof Lal,thank you very much. A very informative and thought-provoking perspective.I agree that in the same way that African-descendants celebrate Emancipation Day it is appropriate for the Indo-descendants to celebrate the Indentureship Abolition day which was a victory coming from years of struggle. 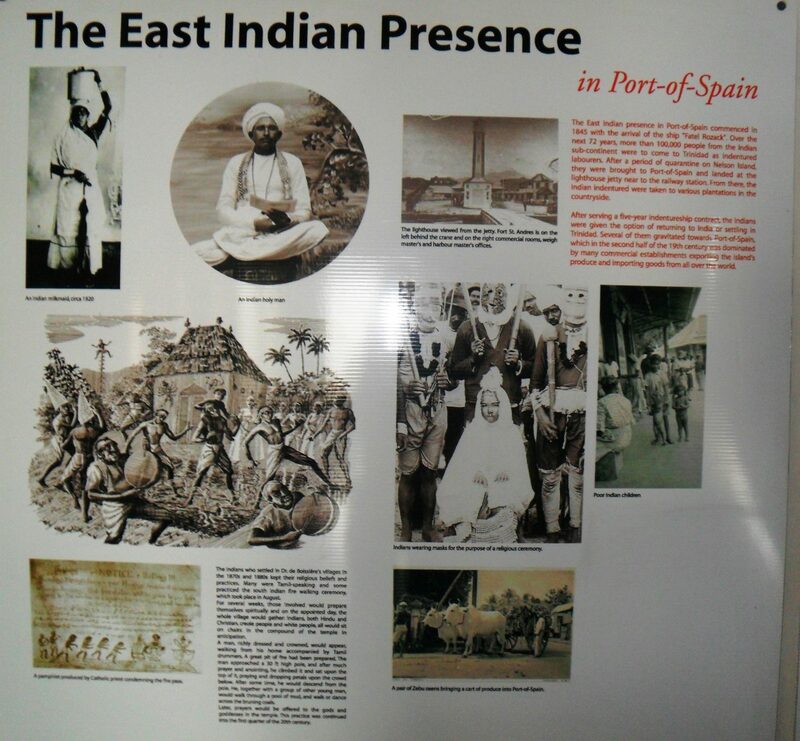 It seems to me that the main point about celebrating Indian Arrival Day is to validate the presence of East Indians and their descendants in these societies and their contribution, in spite of prejudice and policies of social and political exclusion by the colonial authorities. I suspect that both events should be marked (Arrival and Abolition) each being given their own significance. I am really happy that you made the point about Walter Rodney too. In fact the main reason he was assassinated is that he was threatening to succeed in forging a Working People’s Alliance between the African and the Indian workers. His book on How Europe Underdeveloped Africa has just been republished by Pambazuka Press. I would love to publish your two articles on my blog, it would be good if you could look into the possibility of checking out those particular historical facts as I am sure that others would do so i it were to published as it is. Reference to Spartacus is in general context of slavery and not in particular context of Caribbean.I got the copy of Black Jacobins during my stay in Trinidad, which I could not find in India since many years. I have a piece on the book if you like I can mail it to you.Of course, Haiti was the first country not only to abolish slavery but make first black revolution in history and I admire CLR James for bringing out that history through his classic book. I was joining most of the time MSJ/OWTU activities during my stay in The University of the West Indies,I regret we did not meet those days. Chaman Lal, who was visiting Professor at Hindi Chair at the UWI , St Augustine, is Professor &amp; Former Chairperson at the Centre of Indian Languages, Jawaharlal Nehru University (JNU), New Delhi. His article recounts the cruel history of Indian indentureship as a source of exploited labour post-Emancipation and the long and ultimately successful struggle to eliminate it and to forge African-Indian Unity, highlighting the role of Mahatma Gandhi, Cheddi Jagan, CLR James and Walter Rodney. I do like your new shape to article,but I missed one thing,as TT Guardian left one part of my article,for blog,complete article would have been better,I am attaching the left out part,which in fact is the last part,which you can put as you deem right. Walter Rodney’s classic study, How Europe Underdeveloped Africa has just been republished by Pambazuka Press. You are invited to a Panel Discussion on the book at the Cipriani Labour College, CLR James Auditorium, on Wednesday June 13 at 6 PM. Speakers will include Dr Patricia Rodney, Dr George Lamming, Dr Jerome Teelucksing, Mr David Abdulah, Mr Firoze Manji and myself as Chair. The event is sponsored by the O.W.T.U. as the C.L.R. James Memorial Lecture for 2012. Posted by Norman GirvanChaman Lal, who was visiting Professor at Hindi Chair at the UWI , St Augustine, is Professor &amp; Former Chairperson at the Centre of Indian Languages, Jawaharlal Nehru University (JNU), New Delhi. His article recounts the cruel history of Indian indentureship as a source of exploited labour post-Emanicpation and the long struggle to eliminate it and subsequent movements to forge African-Indian Unity, including the roles of Mahatma Gandhi, Cheddi Jagan, CLR James and Walter Rodney. There have been films, TV serials made, plays staged and biographies written on the first empress of India in many languages. Punjabi playwright Balwant Gargi, who was from Bathinda, and in his childhood lived near the fort, where Razia Sultan was kept imprisoned, wrote a full length play in Punjabi-Sultan Razia in 1973, which was staged in Urdu in Delhi by Ibrahim Alkazi. In 1983, Kamal Amarohi made a feature film Razia Sultan, featuring Dharmendra and Hema Malini, both joining BJP for a political career. While Dharmendra lost a re-election bid, Hema Malini continues to be a Member of the Lok Sabha. Jamila Brijbhushan’s biography of Razia was published in 1990 and Shahana Dasgupta’s Razia: The People’s Queen came out in 2001. Meva Ram wrote a long, 670 page novel Sultan Razia in Hindi in 2011. In 2015, a television channel aired 170 episodes on Empress Razia Sultan. And yet, she has not been given her due in Indian history. Now when there is so much sympathy for Muslim women, who are supposedly all victims of Triple Talaq, the great role played by a slave emperor’s brave daughter Razia Sultan, whom her father preferred over his sons in the thirteenth century, appears more relevant than ever. India was ruled by slave dynasty from Turkey during 1206 and 1290 AD. Qutab-ud-din Aibak was the first emperor from slave dynasty and he set up the Delhi Sultanate. His son-in-law Iltutmish succeeded him. Razia was the daughter of Iltutmish and granddaughter of Qutab-ud-din, who had begun building the Qutab Minar in Delhi and who lies buried in Lahore. Razia Sultan ruled over India for just about four years between 1236 and 1240, but she left an indelible imprint during this short period on Indian history. Born in 1205 at Badaun, her grandfather Sultan Qutab-Din-Aibak died when she was just five years old. After the fall of the Gupt dynasty, India was divided into many small states and these states were fighting with each other. Thanesar was the strongest of these states under Emperor Harshvardhan during 590-647 Ad. Later India was subjected to Arab attacks and Mohammad Bin Qasim succeeded in conquering Sindh in 711 AD and Islam took roots in India and spread to many more areas. After three hundred years Ghazni’s Turk ruler Mahmood Ghaznavi attacked India 17 times in a period of 27 years, but he returned every time after plundering India and had no interest in setting up his rule directly. Yet it led to influence of Turks, Mongols and Pathans in the area. In the 12th century another Turk ruler from Afghanistan Muhammad Ghori attacked India many times conquered many states. Decisive wars were fought between Muhammad Ghori and Rajput ruler Prithviraj Chauhan in 1192 in Tabarhind (Now Bathinda), which led to the long Muslim rule in India. Qutab ud din Aibak was the army chief of Ghori and he won Delhi and established Ghulam dynasty in India in 1206 AD after the death of Muhammad Ghori. Aibak married his daughter Qutab Begum to his favourite slave Shamshudin Iltutmish and after Aibak’s death, Iltutmish provided stability to Ghulam dynasty in India. Razia was daughter of Iltutmish and she was given training in arms and administration at an early age. Elder son of Iltutmish Nasiruddin died, whom Iltutmish wanted to hand over his kingdom. Two other sons of Iltutmish from another wife Turkan, were incompetent, so Iltutmish designated Razia as his successor. During his absence from the capital, Razia was given charge of the kingdom, which she ran with competence. In 1236, just before his death following a palace intrigue by his wife Shah Turkan, Iltutmish revised his decision and nominated his son Rukandin to be his successor, who succeeded him in 1236 after his death. But Rukandidn could rule for only six months, before he was assassinated along with his mother. After Rukandin’s death Razia Sultan was designated as empress or Sultan by the chiefs and she ruled with distinction for nearly four years. There is dispute about her tomb, three places are referred—at Kaithal, where she was killed with Altunia, Bulbul Khana in Delhi and Tonk in Rajasthan. The Delhi tomb is maintained by the archaeological department. It is said that her step brother Bahram Shah who succeeded her, brought her remains to Delhi and buried her properly, the second tomb at Delhi is not identified, but could be of Altunia. Razia Sultan lived with great grace and dignity and died fighting bravely, showing exemplary courage, intelligence and independence under extreme feudal and patriarchal conditions of Indian society in the 13th century. That she became a symbol of feminist power in South Asia in the 13th century is remarkable indeed. Not many women in Islamic countries have achieved what Razia Sultan did eight hundred years ago. She is the real inspiration for not only Muslim women, but all women of India! 11 फरवरी २०१८ का दिन दक्षिण एशिया के देशों पर कहर की तरह टूटा, जब अभी दो सप्ताह पहले 66 वर्ष पूरे करने के बाद अचानक घातक हृदयाघात से पाकिस्तान में शेरनी कही जाने वाली मानवीय अधिकारों की अंतर्राष्ट्रीय स्तर पर जानी जाती कार्यकर्ता अस्मा जहाँगीर के देहांत की खबर पूरे विशव में फ़ैल गयी. कुछ घंटे पहले उन्हें दिल का दौरा पड़ा और उन्हें हमीद हस्पताल लाहौर में भरती करवाया गया था. अभी मोबाइल पर वे किसी वकील से पाकिस्तान के किसी महत्वपूर्ण केस पर बातचीत कर रहीं थी कि अचानक उनके हाथ से मोबाइल गिरा और वे दुनिया से रुखसत हो गयी. अस्मा जहाँगीर का जन्म लाहौर के एक जाने माने परिवार में २७ जनवरी १९५२ को हुआ था. उनके पिता मलिक ग़ुलाम जिलानी एक बड़े सरकारी अधिकारी के पद से रिटायर होने के बाद राजनीती में सक्रिय थे,पाकिस्तान सरकार का विरोध करने से कई बार जेल जा चुके थे. बांग्लादेश की मुक्ति का उन्होंने और फैज़ अहमद फैज़ ने समर्थन किया था,जिसके लिये बांग्लादेश की प्रधान मंत्री शेख हसीना ने उन दोनों की बेटियों –अस्मा और सलीमा हाश्मी को २०१३ में उनके पिताओं के लिए ‘बांग्लादेश के मुक्ति युद्ध के दोस्त’ रूप में सम्मानित किया था. अस्मा के एक साल बाद पैदा हुई हिना जिलानी और अस्मा दोनों ने अपने अब्बा की इसी गौरवशाली विरासत को आगे बढाया. अस्मा और हिना की माँ बेगम सबीहा जिलानी भी अपने वक़्त से आगे बढ़ी हुई महिला थीं, जिन्होंने लाहौर के मशहूर कालेज एफ. सी. कालेज से शिक्षा हासिल की थी और अपना खुद का कपड़ों का व्यापार किया था. १९६७ में पति की नज़रबंदी के दौरान परिवार की पुश्तैनी जायदाद भी सरकार ने ज़ब्त कर ली थी. अस्मा २० वर्ष की उम्र में ही जुलिफकार भुट्टो के शासन काल में अब्बा की नज़रबंदी के दौरान १९७२ में ही सक्रिय हो गयी थीं. लाहौर के किन्नौर्ड कालेज से उन्होंने स्नातक परीक्षा पास की तो पंजाब विशवविद्यालय लाहौर से कानून की स्नातक डिग्री हासिल की. 1980 में अस्मा और हिना दोनों बहनों ने पाकिस्तान की पहली ‘औरत कानून फर्म’ स्थापित कर इतिहास रचा. साथ ही उन्होंने ‘औरत एक्शन फोरम’ नाम का सामाजिक संगठन भी स्थापित किया. बेसहारा औरतों के लिए ‘दस्तक’ नाम से एक ‘शरणागत घर’ की भी उन्होंने स्थापना की. १९८२ में पाकिस्तान के अब तक के सबसे बदनाम शासक जिया-उल-हक़ के धार्मिक कानूनों के खिलाफ जब अस्मा ने विरोध प्रदर्शनों में हिस्सा लिया तो उन्हें ‘नन्ही नायिका’ का लोक ख़िताब भी मिला. उन्होंने अपनी कानून फर्म से पाकिस्तान के उस धार्मिक कानून के खिलाफ लड़ाई शुरू की, जिसके तहत अदालत में मर्दों की एक गवाही के बरक्स औरत की गवाही आधी ही मानी जाती थी. १९८३ के एक पब्लिक प्रोटेस्ट में उन्हें मारा गया और उन पर अश्रु गेस छोड़ी गयी. उन्होंने १३ वर्ष की अंधी बच्ची बीबी साफिया का केस लड़ा, जिस पर उसके मालिक ने बलात्कार किया और ‘जिना’ कानून के तहत सजा मर्द को ना दे कर पीड़ित लड़की को कोड़ों से मारने और तीन साल क़ैद की सजा दी गयी. लम्बी क़ानूनी लड़ाई के बाद अस्मा-हिना इस फैसले को रद्द करवा पीड़ित बच्ची को छुडवा सके. १९८६ में अस्मा और हिना ने पकिस्तान में पहली बार ‘क़ानूनी सहायता केंद्र खोला, जिससे गरीब औरतों की मदद हो सके. 1996 में लाहौर हाई कोर्ट ने ये फैसला सुनाया कि बालिग मुस्लिम औरतों को अपने पुरुष सरंक्षक की इज़ाज़त के बगैर अपनी मर्ज़ी से शादी करने का हक नहीं है. इसी दौरान एक दुखद घटना घटी. साईंमा नाम कि औरत अपने पति से तलाक चाहती थी, जिसे अस्मा की फर्म ने शरण भी दी थी और उसका मुकदमा भी वे लड़ रहे थे. साईंमा के परिवार वालों ने अस्मा-हिना को धोखा देकर उस लड़की से मिलने के बहाने से उसका अदालती परिसर में कतल कर दिया. लेकिन अस्मा-हिना की लॉ फर्म ने अब इतनी प्रतिष्ठा हासिल कर ली थी कि अस्मा को दुनिया भर से सम्मान हासिल हो रहे थे. अनेक विशाव्विद्यलों ने उन्हें मानद उपाधियाँ प्रदान कीं, जिनमें स्विट्ज़रलैंड, कनाडा और अमेरिका के अनेक विशव्विद्यालय शामिल हैं. संयुक्त राष्ट्र ने उन्हें ‘धर्म और विश्वास की आज़ादी के मानव अधिकारों’ के लिए २००४ से २०१० तक अपना प्रतिनिधि बनाया. संयुक्त राष्ट्र प्रतिनिधि रूप में ही उन्होंने मुंबई में शिव सेना प्रमुख बाल ठाकरे और तब के गुजरात के मुख्य मंत्री नरेंदर मोदी से भी सवाल किये थे, जो काफी सख्त सवाल थे. अस्मा ने ही पाकिस्तान में सबसे पहले ‘मानव अधिकार कमिशन’ की स्थापना के लिए शुरुआत की और खुद कमिशन की सेक्रेटरी जनरल और बाद में अध्यक्ष रही. 2010 में ही अस्मा जहाँगीर ने पाकिस्तान सुप्रीम कोर्ट बार एसोसिएशन का चुनाव लड़ा और पहली महिला अध्यक्ष चुनी गयी. २००७ में पाकिस्तान सुप्रीम कोर्ट के चीफ जस्टिस इफितिखार चौधरी की बहाली के संघर्ष में हिस्सा लेकर ९० दिन की नज़रबंदी उन्होंने झेली, लेकिन बाद में चीफ जस्टिस के कई फैसलों की उन्होंने आलोचना भी की. इस मामले में अस्मा ‘बेख़ौफ़ आज़ादी’ की प्रतीक थीं. अभी हाल में जिस तरह फ़ौज और कोर्ट्स ने मिल कर नवाज़ शरीफ को सत्ता से हटाया उसकी भी बेख़ौफ़ आलोचना अस्मा ने की. अस्मा कश्मीर और बलोचिस्तान दोनों जगह मानवीय अधिकारों के उल्लंघन की सख्त आलोचक थी और इस वजह से पाकिस्तानी सेना की आँख का रोड़ा थीं. पाकिस्तानी सुरक्षा बालों ने उसे दहशतगर्दों के हाथों मरवाने की कई साजिशें कीं, जैसे बेनजीर भुट्टो को मरवाया गया था, लेकिन अस्मा को तो डर छू भी नहीं गया था. अस्मा की ये चेतावनी पकिस्तान् के बाद अब भारत को भी अपनी लपेट में ले रही है और इसे रोका नहीं गया तो हिंदुस्तान को ‘हिन्दू पाकिस्तान’ बनने से रोका नहीं जा सकेगा. अस्मा-हिना ने २००५ में लाहौर में औरतों और मर्दों की सांझी दौड़ आयोजित की, ताकि औरतों की दशा की ओर ध्यान खीचा जा सके, लेकिन इसकी उन्हें सरकार और मुल्लायों दोनों की तरफ से कड़ी सजा दी गयी, पब्लिक में उनके कपडे फाडे गए, ताकि उन्हें अपमानित किया जाये. अस्मा भारत और पाकिस्तान के बीच मित्रता और अमन चाहती थीं और इसके लिए कोशिशें भी करती रहती थीं. मैंने भी उन्हें दिल्ली में ऐसी कोशिशों में भारत-पाक मित्रता की गोष्ठियों में सुना है. यही कारण है कि उनकी वफात पर जितना दुःख पाकिस्तान में मनाया गया, लगभग वैसा ही दुःख भारत में भी महसूस किया गया. अस्मा जहाँगीर को मानवीय अधिकारों के क्षेत्र में सक्रियता से बहुत से अंतर्राष्ट्रीय सम्मान/पुरस्कार हासिल हुए, जिनमें १९९५ में magasyse पुरस्कार,२००० में पाकिस्तान में मानवीय अधिकारों के लिए अंतर्राष्ट्रीय विकास पुरस्कार, २००१ में दोनों बहनों के लिए UNIFEM पुरस्कार, २००५ में वैकल्पिक नोबल पुरस्कार के लिए नामांकन, 2010 में हालेंड से मैडल, 2010 में ही UNESCO पुरस्कार, २०१३ में पिता के लिए बांग्लादेश से पुरस्कार, २०१४ में नॉर्वे से पुरस्कार, २०१४ में ही फ्रेंच पुरस्कार, सितम्बर २०१४ में snowden के साथ वैकल्पिक नोबेल पुरस्कार आदि शामिल हैं. पाकिस्तान सरकार ने भी उन्हें दुसरे सबसे बड़े नागरिक सम्मान-हिलाल-ए-पाकिस्तान से नवाज़ा और सिंध सरकार ने तो उन्हें सरकारी सम्मान सके साथ दफ़नाने की भी बात कही, जो उनकी बेटियों ने नहीं की. उनके परिवार और मित्रों-साथियों ने उनके उसूलों को उन के ज़नाज़े में भी रूप दिया. पहली बार सैंकड़ों औरतें १३ फरवरी को लाहौर में हजारों लोगों के साथ उनके ज़नाज़े में शामिल हुईं और उनकी दोनों बेटियों और औरतों ने मर्दों से आगे रह कर ज़नाज़े की रसम निभाई, जो पाकिस्तान जैसे मुल्क के लिए एक अजूबा था. पाकिस्तान की तमाम वामपंथी संगठन उनके ज़नाज़े में शामिल रहे और नारों के साथ उन्हें अंतिम विदाई दी. उनकी दो बेटियों में एक मुनीज़ा पत्रकार हैं तो सुलेमा जहाँगीर उनकी तरह वकील, उनका एक पुत्र भी है. लाहौर के कायदे-आज़म लॉ कालेज में वे कानून की प्रोफ़ेसर भी थीं. उनके देहांत पर दुनिया भर के नेताओं ने शोक व्यक्त किया जिनमें कनाडा के न्याय मंत्री, संयुक्त राष्ट्र महासचिव, बांग्लादेश की प्रधान मंत्री शेख हसीना, कामनवेल्थ के महासचिव आदि शामिल हैं, हालाँकि भारतीय शासकों ने उन्हें औपचारिक श्रधान्जली भी नहीं दी. लेकिन भारत में तमाम जगहों पर जनतांत्रिक आंदोलनों में शोक व्यापत रहा. दिल्ली, चंडीगढ़ व् अन्य कई शहरों में उनकी स्मृति में सभाएं हुईं. भारतीय मीडिया में उन पर ढेरों लेख, ख़बरें प्रकाशित हुईं. जिनसे ये भी साबित हुआ कि वास्तव में भारत और पाकिस्तान के जनतांत्रिक अन्दोलोनों में एक दूसरे के प्रति गहरी संम्वेदना है और दोनों एक दूसरे के दुःख में शामिल होकर दोनों देशों के शासकों की दोनों देशों में हर समय तनाव बनाये रखने की नीति को गलत मानते हैं. अस्मा जहाँगीर के सरोकार औरतों, बच्चों और धार्मिक अल्प संख्यकों को न्याय दिलाना और पाकिस्तानी समाज को जनतांत्रिक बनाना था, इसी में उन्होंने अपना जीवन होम कर दिया, उन्हें पाकिस्तान की सबसे सशक्त महिला कहा गया और प्यार से पाकिस्तान की शेरनी कहा गया, वास्तव में वे पुरे दक्षिण एशिया के शेरनी थीं. भारत के जनतांत्रिक लोगों का अस्मा जहाँगीर को जज्बाती सलाम! Lala Ruchi Ram Sahni was the founder of science education in undivided Punjab, yet his historic role has not been properly acknowledged by historians and activists for scientific temper in education nor by Punjabi language supporters. He along with Principal Chhabil Das and Profesor Brij Narayan like people brought subjects and topics like Science, Politics and Economics close to people in the Punjabi language with public speeches to common people like rural and urban people-peasants, workers, middle classes. Those who are holding Dharnas etc for the promotion of Punjabi language, mostly from the creative literary world are not looking back at the legacy of hundred years during British colonial period and linking it up with the present situation in Indian or Pakistani Punjab. This book-Life memoir of Ruchi Ram Sahni was edited by Narinder K. Sehgal and Subodh Mohanti probably in 1994 as the year given in preface, has been translated in Punjabi by Khushwant Bargadi, who is also a publisher of People’s Forum books from Bargadi. On the back of the cover page, there is a comment of R Ramachandran quoted from The Economic Times, which may be the review of this book itself, underlining the real role of Ruchi Ram Sahni as ‘of popularising science in common people’. It happened during 1880’s in Punjab, but these were the first attempts to promote science. Subodh Mohanti has a chapter introducing Ruchi Ram Sahni’s life and works, who became Assistant Professor in Physics and Chemistry in Govt. College Lahore in 1887 and retired as senior Professor in 1918. Prior to Him J C Bose started teaching science in Presidency College Calcutta in 1985, P C Ray returned from Edinburg in 1988 and became an assistant professor in Presidency in 1989. Mohinder Lal Sarkar set up ‘Indian Association for the cultivation of science’ in Calcutta in 1887, C V Raman joined this association in 1907. Calcutta University VC Ashutosh Mukherjee played a key role in giving institutional form to modern science in India. The first Indian Science Congress was held in 1914 under Ashutosh Mukherjee’s chairmanship. When Ruchi Ram Sahni joined Punjab Education Service(P.E.S. ), then only three Indians were part of Indian Education Service(I.E.S.). Ruchi Ram Sahni was among first Indians to promote science education and popularising it among common people. Ruchi Ram Sahni played an active role in freedom struggle. He worked with Pt. Motilal Nehru, C R Das, Madan Mohan Malviya and other leaders during the enquiry of Jallianwala Bagh terror. He was also close to Mahadev Govind Ranade. Sahni was born on 5th April 1863 in Dera Ismail Khan. His father Karam Chand Sahni was a businessman and mother Gulab Devi came from moneylender’s family. Mulkh Raj Sahni, son of Ruchi Ram has noted these facts in his biography of his father-‘Landmarks and Strandlines: An Autobiography’. He set up Zoology department at Panjab University. Ruchi Ram started going to a Pandhey for study at the age of five years. At the age of nine years, he worked with Seth Kalyan Das.He took his education in Chruch school Dera Ismail Khan, he topped in Punjab in the middle-class examination in 1878. He did his Matriculation from Adiwal school and joined Govt. college Lahore, where Dr. G L Litner was Principal. He did his intermediate in 1881 and graduation in 1884, topping the examination. Despite his interest in Mathematics, he did his M.A. in Physics and Chemistry. Even before completing his MA, he got a job in weather dept and was posted in Calcutta, where he was allowed to complete his studies. He was made Assistant Professor in Govt. College Lahore in 1887. There was no library, he set up himself. For long time he remained a member of University Syndicate. To popularise science among masses, he established Punjab Science Institute and delivered more than five hundred lectures on common issues. He used to deliver lectures in Punjabi and English, using Urdu words. Punjab Science institute produced scientific instruments also. In patronisation from Indian National Congress, Punjab Science Institute took part in many exhibitions in the country. Eminent scientist Dr. Shanti Swarup Bhatnagar, the founder of CSIR, was much influenced by Ruchi Ram Sahni, who was his teacher. Sahni was a liberal in thinking, he became Brahmo along with Dyal Singh Majithia in Punjab. He was elected member of Punjab legislative council in 1923. After breathing in independent India, he took his last breath on 3rd June 1948. Birbal Sahni, his son, set up service for one month less than one Birbal Sahni Institute of Zoology in Lucknow University. National Council for science and technology communication claimed that they found Ruchi Ram Sahni autobiography, though few portions of this are not found. It was published in two issues of NCSTC communications journal in November 1991 and January 1992 issues, which probably has taken the shape of this book. The text of Ruchi Ram Sahni is spread in 113 pages from page no 22 to 135 and is in six chapters. Ruchi Ram Sahni begins his story with the description of his job in the first chapter –Story of Indian official’s struggles and tests’. He tells us that he had done official service for just one month less of 1/3 of a century. He was recruited in weather dept. on 10th January 1885, by the end of March 1987, his services were transferred to Education department of Punjab Government and he was appointed assistant Professor in Physics and Chemistry at Govt. College Lahore, from where he retired as Senior Profess on 15th April 1918 at the age of 55 years. He worked as Director of Multan Schools for ten months in 1908 and in 1905 as officiating Director of EducationAmritsar schools for three months. Sahni worked under eight Principals and five DPI. In his 31-year college service, he developed warm relations with more than thirty European Professors. At that time only three Indians were part of Indian Education service, among whom Jagdish Chander Bose was one. During his MA studentship, Sir Denzel Ibbetson visited his college and was impressed by his experiments. Sahni soon got an offer from weather department to join as the assistant weather reporter. He was to appointed at Calcutta and he was assured that he could continue his MA studies in Presidency College there. In Presidency college he met Sir Ashutosh Mukhrejee, who was considered great educationist of his times. His class fellows included Upender Kishore Chaudhary, who was the father of Satyajit Ray and was later known as U Ray as a singer. Sahni was influenced by Brahmo Samaj there, which was set up by Raja Ram Mohan Roy, founder of Bengal enlightenment and renaissance. Tagore’s father Devender Tagore was bit elder than Ruchi Ram. In Calcutta, Sahni used to go to listen to Mohinder Lal Sarkar lectures in ‘Indian Association for the cultivation of science’, which Sarkar set up in 1876. This first institute for scientific research in India. Ruchi Ram Sahni set up ‘Punjab Science Institute’ in Lahore inspired by Mohinder Lal Sarkar. Ruchi Ram’s boss Blandford was a very kind person. He contrasts him with the bullying conduct of his successor John Eliot. In the meantime, Sahni got a letter of appointment from Govt. College Lahore, where he was appointed as assistant professor at 200/ Rupees per month. Ruchi Ram joined in College on 29th March 1887 and spent all his life there till retirement. Though in between, he got a chance to visit Europe for research and was stuck up in Germany during First World War. Ruchi Ram worked hard to prepare for his lectures, which he used to deliver in morning from 9.30 am to 11.30 am and supervised practicals from 2 pm onwards. He used to have a nap for an hour after lunch. First, five years in College job were hectic for Sahni, in which he set up Punjab Science institute workshop also. There was no library in University, so set up his personal library. Durin his college job Ruchi Ram joined Mayo Arts College to learn art work of wood for about six months, where he came in contact with Bhai Ram Singh and Lockwood Kipling, father of Rudyard Kipling. As per Ruchi Ram, Bhai Ram Singh designed best building is that of Khalsa College Amritsar. Ruchi Ram was taking part in Congress activities also, though Govt. employees were supposed to remain away from political activities. Ruchi Ram refers to scandals in University examination system also, for which he was made to suffer at the hands of some British faculty members. He remained a longtime member of University senate and syndicate. Sahni went to Europe for the first time after 1914, during world war-1, in which more than 80 lakh people got killed and 21 crore were injured. It was fought between- Britain/France/Russia/Belgium/Japan on one side and Germany/Austria/Turkey on another. Britain side won the war. He had difficult experience during the war and was helped by Ranjit Pandit, who became Vijaya Lakshmi Pandit husband later. Ruchi Ram Sahni spent most of his time and attention to Punjab Science Institute, which was suggested by Prof. J C Omman, during Sahni’s student days at college. In 1885, a society was set up for the institute, whose secretary was Prof. Oman and the joint secretary was Sahni. In this chapter, Ruchi Ram refers to his close association with Mahadev Govind Ranade(!1842-1901), who is considered the father of Indian economics. He remained Judge in Bombay High Court during 1893-1901. Deccan Education society Pune was set up by his inspiration. Ruchi Ram Sahni refers to public lectures delivered by him from Panjab Science Institute.. There was a fee to listen to this lecture, which was one or two annas. Sahni delivered at least two lectures in Patiala. Lectures were on common themes like-how telegram works, Panjab and its rivers etc. Sahni used Punjabi medium for delivering his scientific lectures, which were listened by Guru Nanak family ancestor Baba Khem Singh Bedi, who said that he could never think before this lecture that Science can be taught through Punjabi medium also. Institute was closed some time by end of 19th century, despite its role in promoting science. In 1905 another body0’Society for the promotion of scientific knowledge’ was formed, the whole property and belongings of the institute were given to the new body, which was led by Dr. C.C. Kleb. Ruchi Ram refers to efforts about the workshop which was set up as part of Punjab Science Institute and whose head technician was Mistri Allah Bakhsh. The workshop produced a lot of scientific instruments. Sahni spent much money from his own savings from salary for the workshop. The workshop produced instruments were sent for display in industrial conferences organised by Congress party. The last chapter of memoirs of Lala Ruchi Ram Sahni is focussed on his long and healthy life. ( He lived up to 85+ years). He refers to his disciplined life, daily walk, controlled food, he was non-vegetarian. Nowhere he refers to religion or superstitions about anything in a successful life, his focus is on Science. Lala Ruchi Ram Sahni played a yeoman’s role in promoting and popularising Science education and its practice in Punjab, he is the pioneer of rational thinking in Punjab, he has not been given his due credit in Punjab education. Along with Principal Chhabil Das and Prof. Braj Narain, he developed Punjabi language for advanced education in Punjab and their pioneer role must be underlined and made part of school education in Punjab. This book is a good contribution to understanding Ruchi Ram Sahni role in the enlightenment of Punjab.